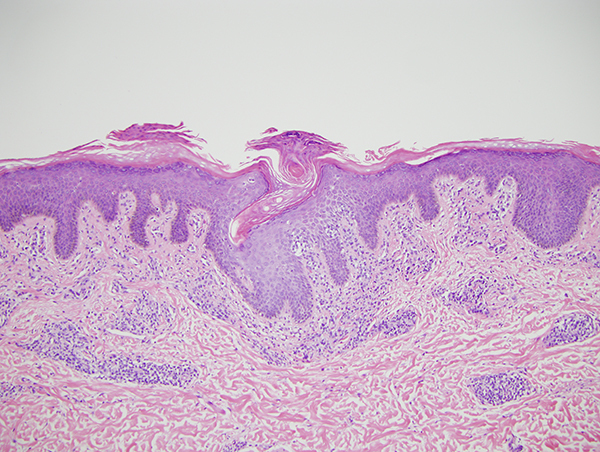 The patient is a 68 y/o male who presents with a 1.3 x 0.8 cm erythematous to violaceous smooth surface nodule. 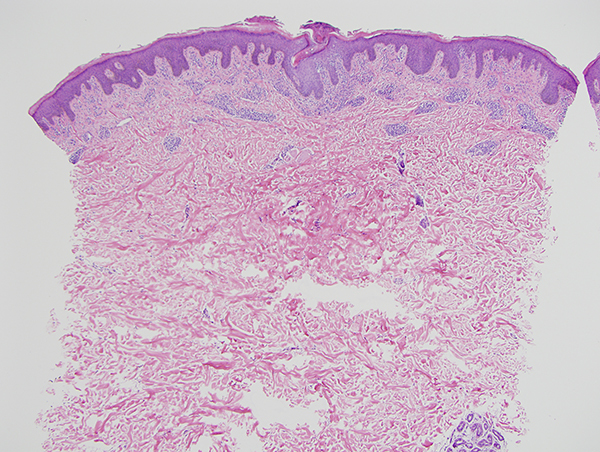 The differential diagnosis comprises tick bite granulomas as the patient is an outdoorsman, resolving folliculitis, lymphocytoma cutis and lymphoma. The pathological findings are those of a well differentiated mixed T- and B-cell lymphocytic infiltrate. Overall, a diagnosis of lymphocytoma cutis is favored. 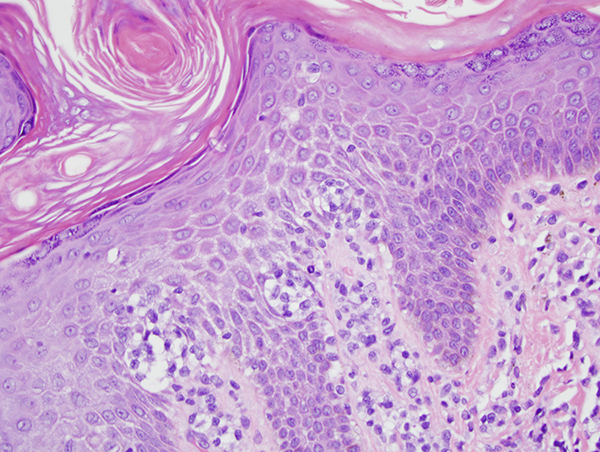 The fact that there is a lichenoid interface dermatitis with epithelial destruction would be very unusual in the setting of marginal zone lymphoma. This architectural pattern of a lichenoid infiltrate with a well differentiated nodular superficial and deep lymphocytic infiltrate is quite characteristic for lymphocytoma cutis.